Thanks to strong earnings, semiconductor stocks are rallying. What do you buy now? As the late-year selloff starts to fade in the rearview mirror, semiconductor stocks are trying to consolidate back to previous highs reached in 2018. As the VanEck Vectors Semiconductor ETF (NYSEARCA:SMH) indicates, the sector rose 11% from December 2018 lows. While graphics chip suppliers — like Advanced Micro Devices (NASDAQ:AMD) and Nvidia (NASDAQ:NVDA) — warned investors last quarter that they would face headwinds, strong earnings from companies like Lam Research (NASDAQ:LRCX) signal that it’s time to selectively buy semiconductor stocks. Investors have plenty of choices, but I think these are the seven best semiconductor stocks to buy now. NXP Semiconductors (NASDAQ:NXPI) shares trade at steeply discounted price-to-earnings multiples relative to the growth ahead. At a tailing P/E of 10.7 times and a roughly 20% EPS growth rate of next year, the PEG is 0.8X. NXP stock is down around 37% since China failed to approve Qualcomm’s (NASDAQ:QCOM) overture to buy it. But the company has a multiyear plan in place for supplying chips to the automotive market which is already reaping benefits. Fortunately, management led the company’s foray in the fast-growing auto market while waiting for the QCOM-NXPI approval. Its investments over the years will result in strong end-market positioning, especially for electric vehicles and self-driving vehicles. In the third quarter, NXP reported strong numbers in automotive. The unit brought in $990 million in revenue, up 4% from last year, offset by slower growth in Secured Connected Devices and Secure Identification Solutions. Investors do not appreciate NXP’s transformation. They are still acting as if the company relies on smartphone demand for growth. But automotive is growing at a faster pace. And if you set a 15X or 20X P/E on NXPI stock and the stock is already worth at least $90 a share. That implies upside of at least 14%. Last month, NXPI priced $2 billion worth of unsecured notes, half of which it will use to pay down debt. A share buyback would further lower share count and help EPS. Per Tipranks, 14 analysts have, on average, a $98.31 price target on NXP Semiconductors. Markets are so bearish on Qualcomm that a short report from Kerrisdale Capital sent the stock lower by almost 5% on Jan. 23 alone. The activist fund is bearish on the smartphone chip giant because it doubts the firm will come out ahead in its trial against the Federal Trade Commission. With QCOM stock 33% below its yearly high, the company needs a strong quarterly earnings report, scheduled for Jan. 30 after market close, to reverse the stock’s fall. It also needs to beat Apple (NASDAQ:AAPL) in the courtroom. Markets value the company as if it is monopolizing its IP and royalty rates, yet Apple depended on Qualcomm’s 4G technology a few years ago. The firm has a high-performing Snapdragon processor that Android suppliers want to use for powering devices. QCOM claims it is owed at least $7 billion from Apple, but even after reaching a settlement, Apple will still be behind in 5G. 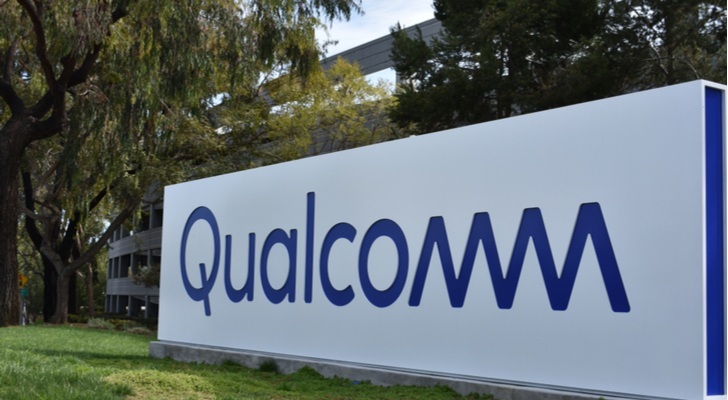 Without Apple, Qualcomm still has an exceptionally strong business. The wireless modem industry has plenty of competition from Intel (NASDAQ:INTC) and MediaTek. When it comes to preference, Qualcomm has the best wireless solutions, so devices makers who want superior technology will need to work out a deal with them. 17 analysts covering QCOM stock have an average $67 price target. A 10-year DCF Revenue Exit model, which assumes single-digit revenue growth and one weak year, suggests a fair value of at least $70 a share. The climb in Micron (NASDAQ:MU) from the single-digit share price in 2016 to over $60 in 2018, came to an end ahead of the escalation of the U.S.-China trade war. In its first-quarter earnings report posted on Dec. 18, 2018, Micron posted sharply lower revenue guidance — it expects Q2 revenue to be in the range of $5.7 billion-$6.3 billion. Analysts at the time had forecast revenue of $7.2 billion. Weaker demand for both NAND and DRAM is the primary reason for the disappointing outlook. Investors now know that an absurdly low P/E is not a good enough reason to expect shares to resume an uptrend. At a $37 stock price, MU stock is valued at a trailing P/E of just 3X. Its forward P/E is just above 5X. Why should anyone bet on a chip cycle returning to high growth again? The trade war between two giant nations created a temporary but noticeable dip in demand. The market now has excess supply, pressuring prices. However, fundamentals continue to improve. 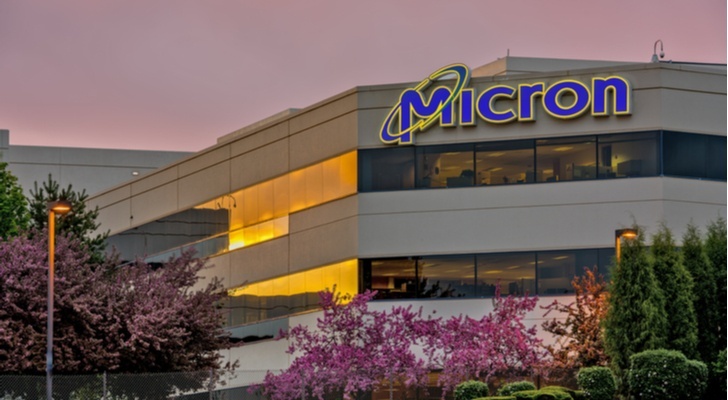 Micron bought out Intel’s holdings in the 3D XPoint joint venture. And the growth in AI applications will not slow down, which creates heavy demand for very-high-density memory. Developing 3D XPoint takes lots of time but demand will pick up when it is ready and the product works with operating systems and software. Fortunately for value investors, markets are impatient and only value Micron on NAND and DRAM dynamics. With tax-loss selling in December now out of the way, patient investors may accumulate Micron and hold it for a few years. 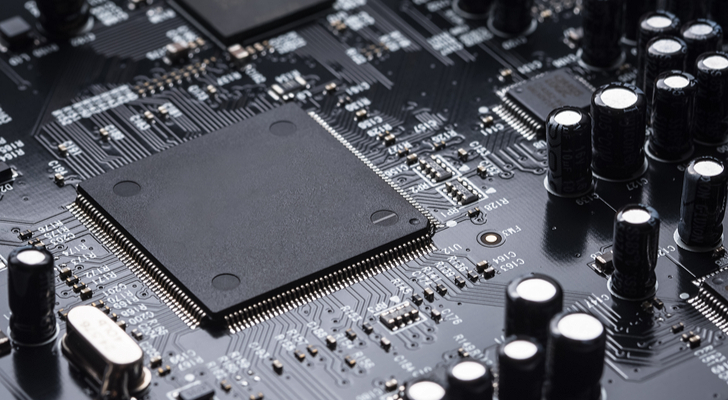 In the Semiconductor-Integrated Circuits space, Taiwan Semiconductor’s (NYSE:TSM) strong fourth-quarter results are positive developments for the sector. The firm reported an EPS of 63 cents a share on revenue of $9.4 billion. More importantly, gross margin and net revenue met guidance. Revenue, gross margin (of 47.7%) and net income all rose from last year. Communications made up 64% of revenue for the quarter. Computer brought in 11% of the total but as the 7nm manufacturer for AMD, expect the PC market to add nicely to sales in 2019. TSMC forecast revenue of between $7.3 billion and $7.4 billion. Gross profit margin will be in the range of 43%-45%. The sequential dip is not a concern because the smartphone industry needs to work off the inventory in high-end units. Demand for smartphones is seasonally weak at this time. 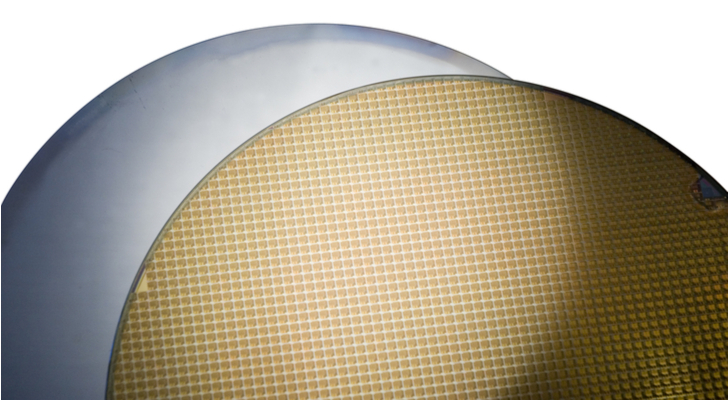 By the second half of this year, new devices will renew demand for TSMC’s components. TSMC could benefit if high-end smartphone manufacturers recognize that the high-demand elasticity favors lowering prices. Consumers are not willing to pay for expensive devices only to get useless features they will never use. Needless to say, TSMC and other smartphone chip suppliers would benefit from higher unit sales driven by lower average sales prices. With a market cap of around $73 billion, ASML Holding (NASDAQ:ASML) is a little larger than Qualcomm and more than twice as big as NXPI. The firm reported first-quarter results on Jan. 23. ASML earned EUR 1.87 (USD $2.13) as revenue grew 22.7% to EUR 3.14 billion ($3.57 billion). The firm forecast Q1 sales falling slightly from last year. It attributed the light forecast on customers delaying orders. Similar to what other chip firms are saying, ASML said that sales will pick up in the second half of this year. ASML’s near-term weakness is temporary. Slow demand in its end markets is due to delayed deliveries for its litho systems. For the full year 2019, the Logic segment will drive ASML’s growth. Customers are demanding advanced nodes, driving demand for its immersion systems and EUV. The CEO’s positive outlook for DRAM, plus expectations for strong demand from China despite the U.S.-imposed trade restrictions, are good reasons investors should consider buying ASML stock. ASML will declare a dividend of EUR 2.10 a share ($2.39 USD), up from EUR 1.40 (USD $1.59) last year. The 1.5% dividend yield is small but would suit income investors looking for exposure to semi technology stocks. Considered a “jack of all trades” in the semiconductor space, Applied Materials (NASDAQ:AMAT) has a diverse business in multiple sectors. For this reason, the company delivered double-digit growth in 2018 despite a challenging second half. Near-term headwinds will continue, but the fluctuations this time around are smaller and less volatile. Applied Materials attributes its diverse business customer sources — customer, enterprise, industrial — for the lower volatility in its results. AMAT will produce the first EUV tools this year. Sales will start to add meaningfully to results, so investors may expect good revenue momentum. But even though revenue may fall in absolute terms, the company is setting the foundation for innovative materials to maintain its competitive edge. Applied forecast a second-half recovery. Management is probably anticipating trade relations improving. More significant would be the U.S. and China agreeing on a trade deal that sees lower tariffs and fewer barriers to trade. Suppliers collectively cut orders or bought goods months in advance of the tariff war. And that is contributing to the near-term weakness. AMAT ended the year 2018 with $5.6 billion in cash and investments. It returned $946 million to shareholders and bought back $751 million in shares. It still has a massive $4.3 billion remaining in its buyback authorization. If shares fall again, maybe even to the sub-$30 levels, management could take advantage of the weak share price by buying back shares. 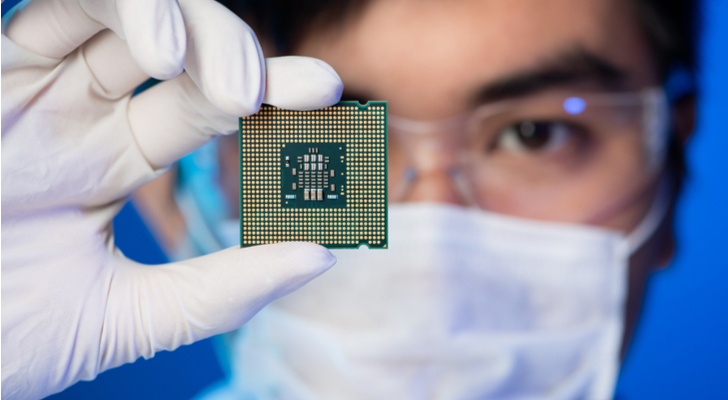 In the Semiconductor Equipment and Materials sub-sector, Lam Research Corporation’s strong second-quarter report is a bright spot for the chip sector. The firm posted Q2 earnings of $3.87 per share that beat consensus. This is sharply higher than the $3.36 a share posted last quarter. Revenue of $2.5 billion fell just 2% from last year but is up $200 million from the previous quarter. Lam Research forecast Q3 revenue of $2.25 billion-$2.55 billion. EPS will come in at $3.20 to $3.60. Similar to Applied Materials, Lam Research is increasing shareholder value by buying back shares. The board authorized a $5 billion repurchase program. This is funded through existing cash on hand, cash flow, and from lending. Etch and Deposition are both central to the customer technology roadmaps. Etch, or high aspect ratio etch, in memory chips are needed for critical applications. Deposition brought film quality, repeatability, and productivity. It gained momentum in DRAM and NAND thanks to ALD application wins. Lam Research very clearly has a strong pipeline. Eight analysts on Wall Street are very bullish on Lam Research’s prospects, with an average price target of about $190 a share. On Jan. 24, four of those analysts reiterated either a “buy” or “hold” rating on the stock. As of this writing, Chris Lau held shares of NXP Semiconductors. Article printed from InvestorPlace Media, https://investorplace.com/2019/01/7-semiconductor-stocks-to-buy-now/.